Bill Bradley (born July 28, 1943) is an idealist and a hard worker, two prime characteristics of Enneagram Perfectionist types. He was an American hall of fame basketball player, Rhodes scholar, and three-term Democratic U.S. Senator from New Jersey. He ran unsuccessfully for the Democratic Party’s nomination for President in the 2000 election, beloved especially by many college students who admired his stance on anti-materialism. He was an Eagle Scout, played all-county and all-state basketball in high school, and was offered 75 college scholarships. At Princeton University he earned a gold medal as a member of the 1964 Olympic basketball team and was the NCAA Player of the Year in 1965. He attended Oxford on a Rhodes Scholarship. Bradley spent his ten-year professional basketball career playing for the Knicks, winning two championship titles. Retiring in 1977, he ran for a seat in the United States Senate and was re-elected in 1984 and 1990. Bradley is the author of six non-fiction books, including The New American Story, and hosts a weekly radio show, American Voices, on Sirius Satellite Radio. This is also typical of a Perfectionist: During his high school years, Bradley maintained a rigorous practice schedule, which he carried through college. He would work on the court for “three and a half hours every day after school, nine to five on Saturday, one-thirty to five on Sunday, and, in the summer, about three hours a day. He put ten pounds of lead slivers in his sneakers, set up chairs as opponents and dribbled in a slalom fashion around them, and wore eyeglass frames that had a piece of cardboard taped to them so that he could not see the floor, for a good dribbler never looks at the ball.” Another sign of the Perfectionist is that he felt uncomfortable using his celebrity status to earn extra money endorsing products as other players did. My last blog was on Robert Reich, who spoke eloquently at a University of California rally on the Occupation movement. 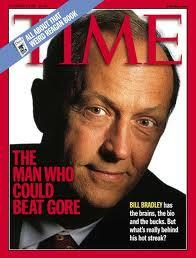 Bill Bradley makes a good spokesman for the ideals of the 99% as well. See more Famous People Enneagram examples on my Psychology Today blogs, my web site, and in each chapter of The Career Within You and Are You My Type, Am I Yours? “I urge you to be patient with yourself because with regard to every social movement in the last half-century or more, it started with a sense of moral outrage. Things were wrong and the actual coalescence of that moral outrage into specific demands came later. Some people say we cannot afford education any longer, we cannot as a nation provide social services to the poor… Well how can that be true if we are now richer than we have ever been before? Over the last three decades this economy has doubled in size but most Americans have not seen much gain. The problem with concentrated income and wealth…is an education system that’s no longer available to so many young people… We are losing equal opportunity in America. We are losing the moral foundation stone on which this country and our democracy were founded. Reich served in the administrations of Presidents Gerald Ford and Jimmy Carter and was Secretary of Labor under President Bill Clinton. He is currently Chancellor’s Professor of Public Policy at the Goldman School of Public Policy at the University of California, Berkeley. He was formerly a professor at Harvard University’s John F. Kennedy School of Government and the Heller School for Social Policy and Management of Brandeis University. He was also chairman, founding editor, and contributing editor of The New Republic, and contributing editor of The American Prospect, Harvard Business Review, The Atlantic, New York Times, and The Wall Street Journal. Reich is a political commentator on Hardball with Chris Matthews, This Week with George Stephanopoulos, CNBC’s Kudlow & Company, and APM’s Marketplace and other programs. In 2008, Time Magazine named him one of the Ten Best Cabinet Members of the century, and The Wall Street Journal placed him sixth on its list of the “Most Influential Business Thinkers.” He was a member of President-elect Barack Obama’s economic transition advisory board. His 13 books, include best-sellers, The Work of Nations, Reason, Supercapitalism, and Aftershock: The Next Economy and America’s Future. He is chairman of Common Cause and writes a blog about the political economy. With little information about his personal life, I’m sticking my neck out and calling him an Enneagram Peace Seeker who makes good use of his Achiever and Questioner arrows. Please let me know if you know him well and know the Enneagram well and you have a more accurate guess. See more about famous types on my Psychology Today blog and my web site. Stephen Greenblatt wrote The Swerve: How the World Became Modern, on how Lucretius’ epic poem, “On the Nature of Things” (first century BC), shaped the thought of Galileo, Freud, Darwin, and Einstein and influenced writers such as Montaigne and Shakespeare. He says Jefferson owned five copies of the poem. Lucretius believed the Universe was made of units or atoms and was not created by a miracle. He believed in avoiding pain and tried to convince people not to have a fear of death. Presumably Jefferson agreed with him that neither the mind nor spirit can survive independent of the body. So fear of death is a projection of terrors experienced in life, a fear of pain that only a living mind can feel. Lucretius also says people who fear the prospect of eternal non-existence after death should think back to the eternity of non-existence before their birth, which they probably do not fear. Adventurers should find this idea appealing because they look for ways to not be afraid. Certain other types would not be as attracted to such a carefree thought (leaving views handed down by their religion aside, that is). 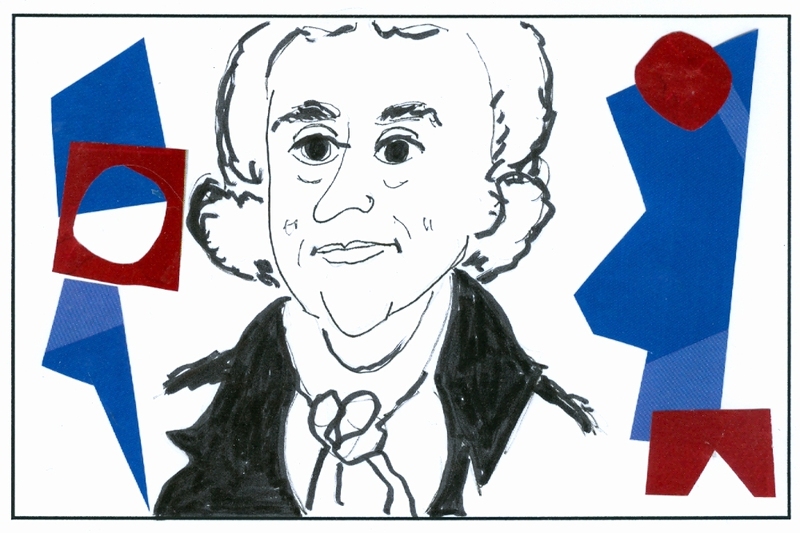 Adventurers, including Thomas Jefferson, try to fill their lives with positive activities, thoughts, attitudes, and options. When something doesn’t go well for them, they usually get over it rather quickly.